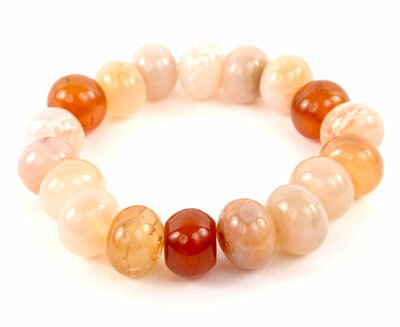 Chunky bracelet made with crackled Carnelian beads. Each bead is oval shaped and measures 12mm. This bracelet is elasticated and measures 7.5 inches. Elasticated to fit most wrists.